Although there are several books in print dealing with elasticity, many focus on specialized topics such as mathematical foundations, anisotropic materials, two-dimensional problems, thermoelasticity, non-linear theory, etc. As such they are not appropriate candidates for a general textbook. 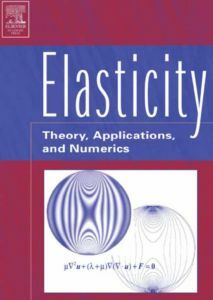 This book provides a concise and organized presentation and development of general theory of elasticity. Complemented by a Solutions Manual and including MatLab codes and coding, this text is an excellent book teaching guide. - Contains exercises for student engagement as well as the integration and use of MATLAB Software - Provides development of common solution methodologies and a systematic review of analytical solutions useful in applications of engineering interest - Presents applications of contemporary interest.